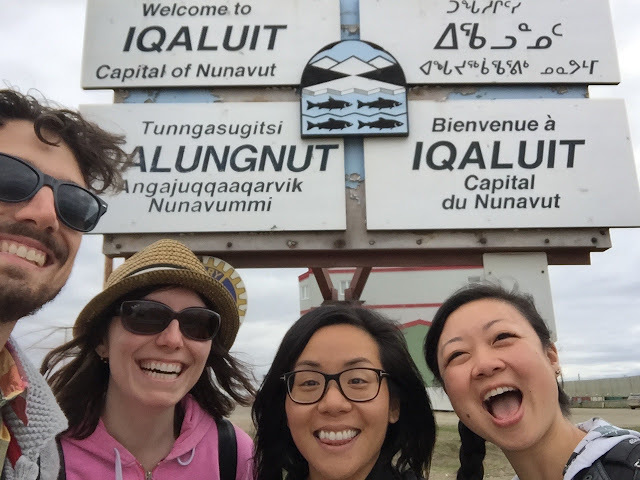 When we first arrived in Iqaluit, we had a five-hour layover before we had to get back on the plane to Yellowknife via Rankin Inlet. The new airport hadn't opened yet and the old one was still a short walk to downtown, so we decided to take the opportunity to do a little walking tour of town. 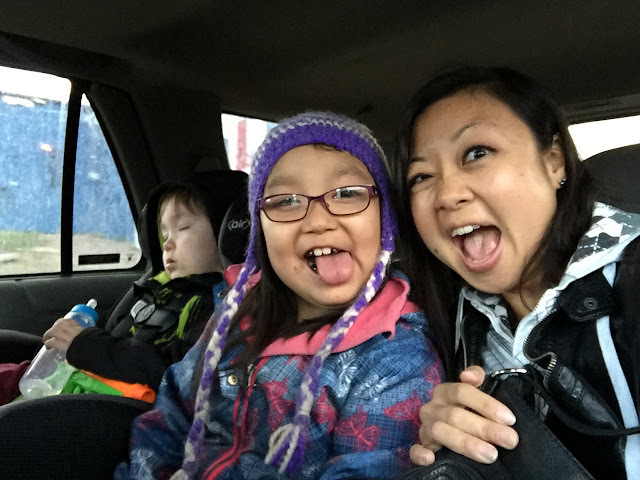 As soon as we stepped out, a truck honked at us for stepping too close too the road and a young raging woman leaned over to scream at us to get off the frikking road. 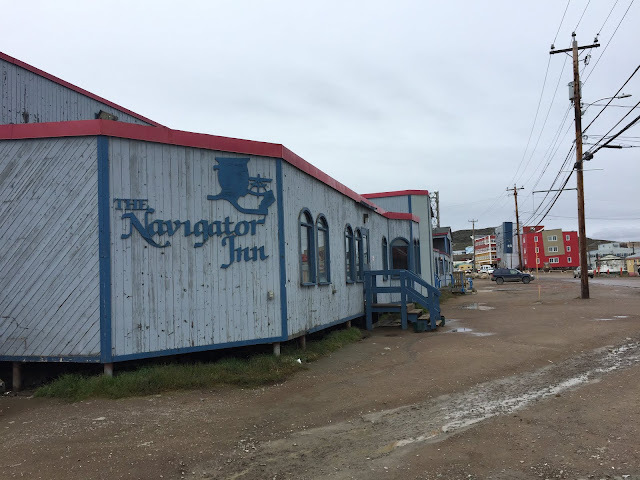 Almost at the same time, another older woman who was having a smoke outside the bar waved at us with a big smile, "Welcome to Iqaluit!" A friendly young man noticed our bewilderment and came over to help us with directions. 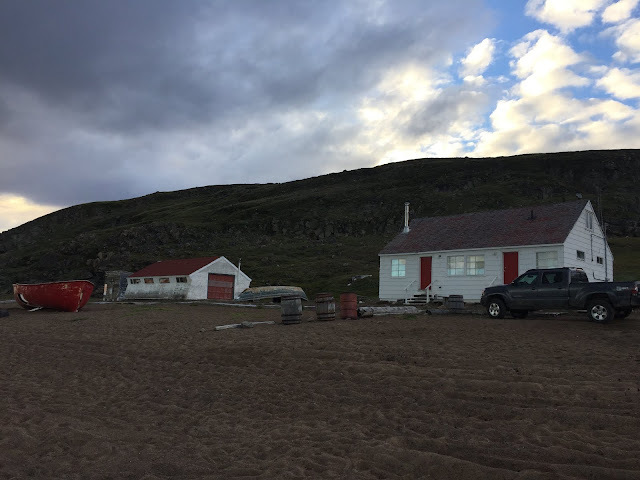 I guess it was clear that we stood out as tourists, maybe because we were dressed for Ottawa summers, not Arctic summers. 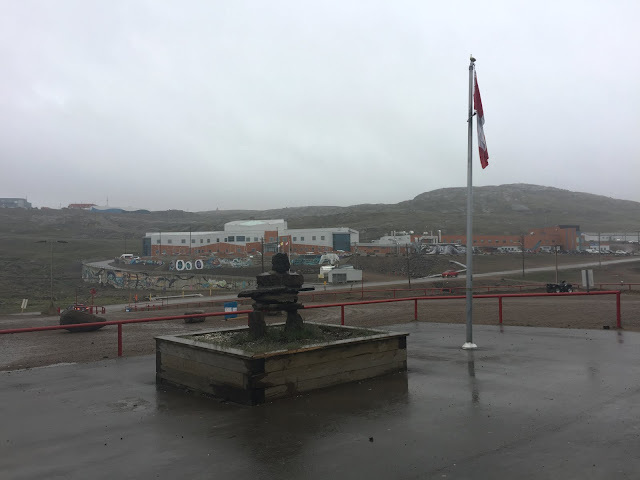 Welcome to Iqaluit indeed, Canada's Arctic capital city that is both warm and friendly like a small town, cold and bewildering like an urban city. 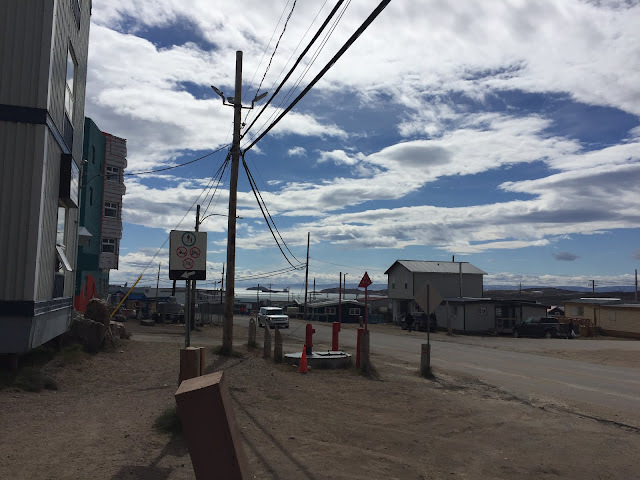 Everyone sees Iqaluit differently, depending on where they're coming from. For many Canadians, it's often their first and only glimpse of life in Canada's Arctic, even if it's not strictly speaking within the actual Arctic Circle. 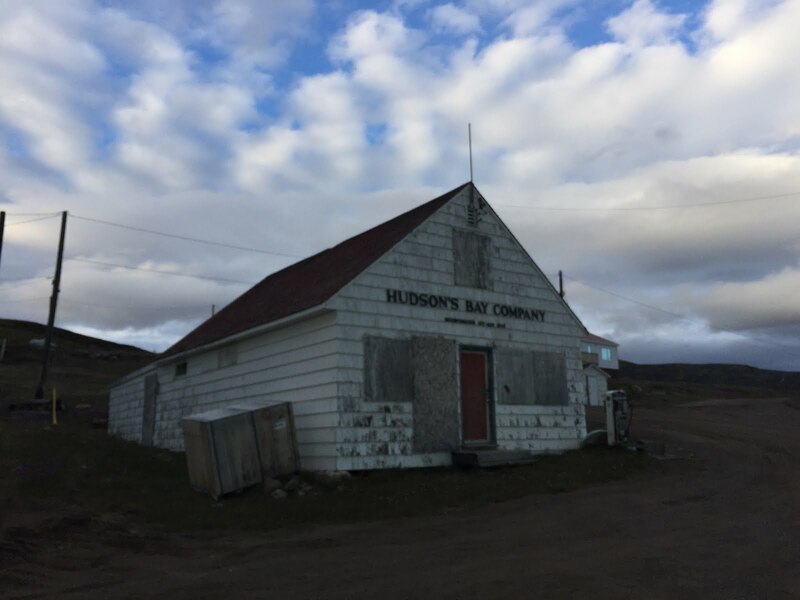 They fall in love with the unique architecture that make the buildings look like they are dancing on the tundra landscape, the Inuktitut stop signs, the sleds parked in the driveways, the old Hudson Bay Company store on Apex beach. They write home about this charming small town in the north where everyone is friendly enough to say hi to you when you pass even if you don't know them, where the grocery prices at the Northmart are shockingly high but everyone seems to be used to it, where Inuit artists will approach you while you eat dinner at the restaurant to show you their latest creations. 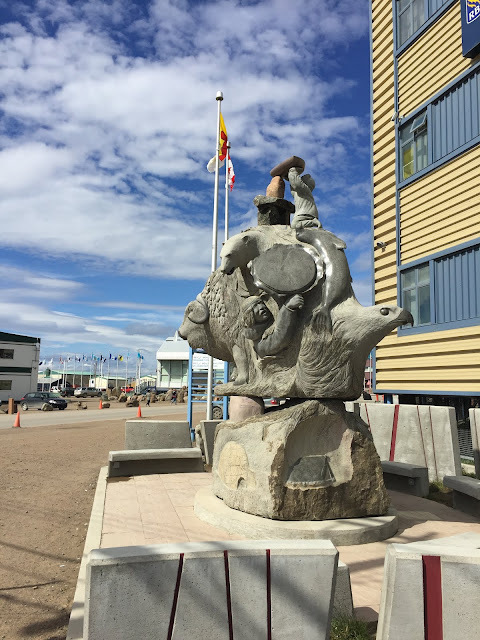 For Inuit coming to Iqaluit from the other communities, Iqaluit represents a big exciting bustling city, which may be painfully far away from home, but is worth the move for all of the economic and educational opportunities it offers that the smaller communities lack. For Northerners, Iqaluit is no small town but instead is the New York City of Nunavut, where Nunavummiut go to watch a film at the only movie theatre in the territory, to get a chance to scarf down a shawarma, get a coffee at the Tim Horton's, get a haircut and fill cavities at the dentist, and have a beer at the bar - all of the things that we see on TV as city life but aren't available in many of the remote communities. 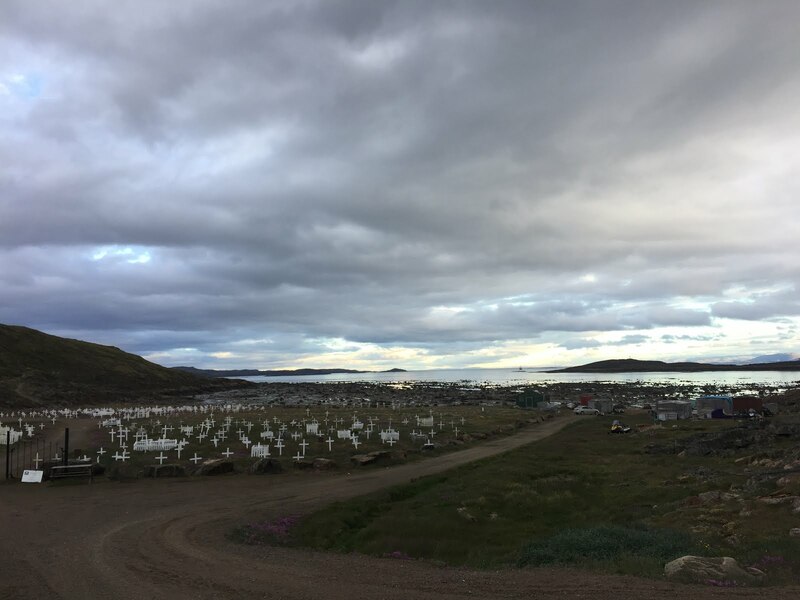 Historically, the Inuit have for centuries understood the importance of migrating in order to follow better opportunities, whether it's to track the caribou or to start a new program at the Nunavut Arctic College, but it doesn't mean that they don't feel the sacrifices they make. 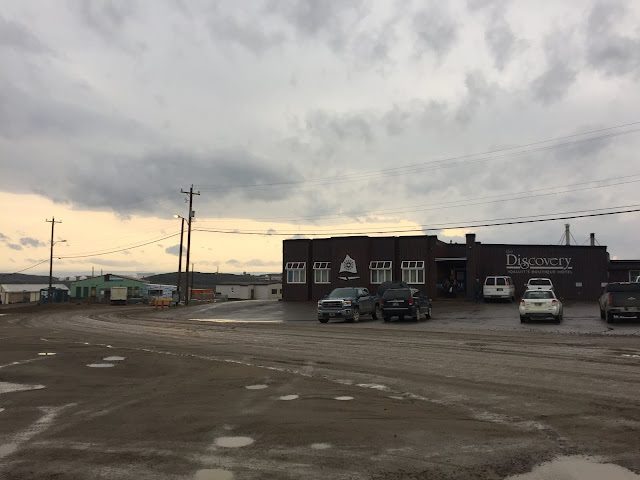 In the middle of this booming, ever-developing northern city that is twice as big as the next biggest community in Nunavut and still growing with new faces every year, it's easy to still somehow feel lonely and homesick. 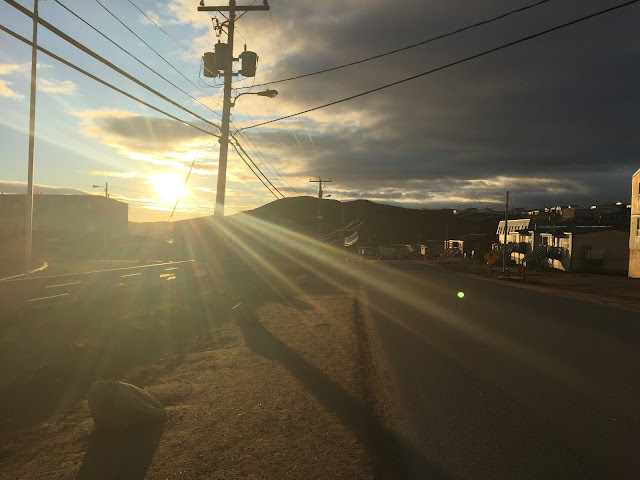 For the folks who are from Iqaluit, the city is of course home, but even they have seen the city undergo so many changes and expansions over the decades that it can be hard to recognize from the memories of one's childhood. 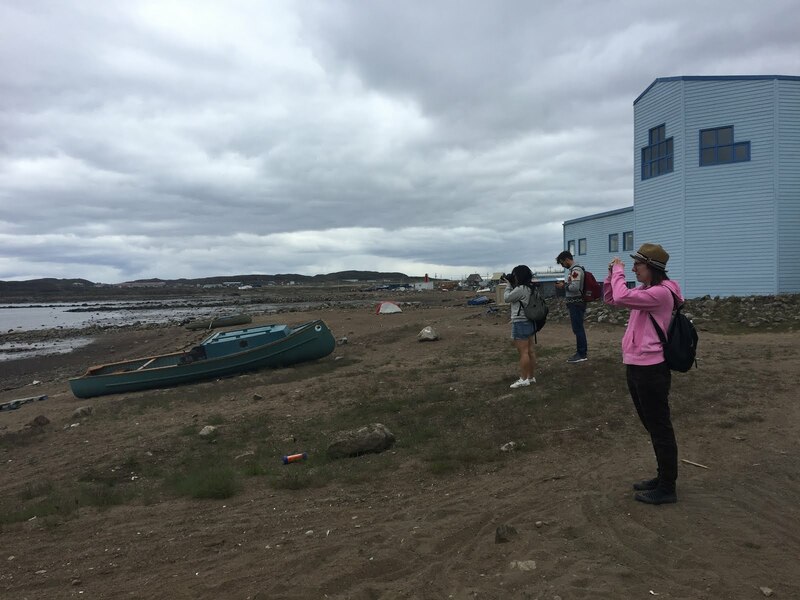 So many new buildings, new projects, new residents - the Arctic landscape has seen rapid change in just the last few years, and Iqaluit is no exception. When I was living in Nunavut in a smaller town in the western Kitikmeot region, for me, Iqaluit was not quite like getting to visit a southern city nor did it feel like home the way Cambridge Bay did with its cozy community feel. I generally only went to Iqaluit as part of work, so it did feel hurried and busy. 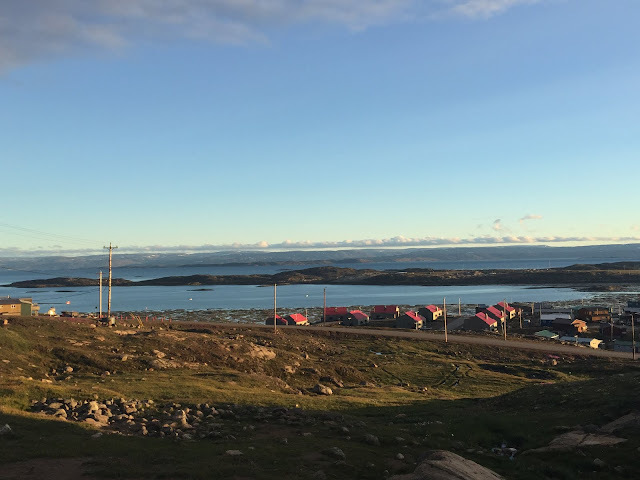 Unlike other northern communities, Iqaluit is big enough with multiple neighbourhoods that you can't just walk everywhere you need to go. On the other hand, the buildings are all numbered, rather than having fixed addresses, as thought it was still the tiny community of Frobisher Bay, so if you weren't familiar with the layout of the city, it could be tricky to get around. I found myself often taking cabs (which are shared taxis, in Nunavut, for a fixed price), even if it turned out that I was just going down the street. In that sense, the challenge of getting around and needing a vehicle made Iqaluit indeed seem like a big city. I was in Iqaluit first on a layover, and then back again a few days later for work. What really clinched Iqaluit as a city for me, was not the Francophone Centre or the mosque, but the opening of the brand new Aquatic Centre. It was like a spaceship that had landed in a Western movie. It's huge, ultra-modern, and even has a water slide. 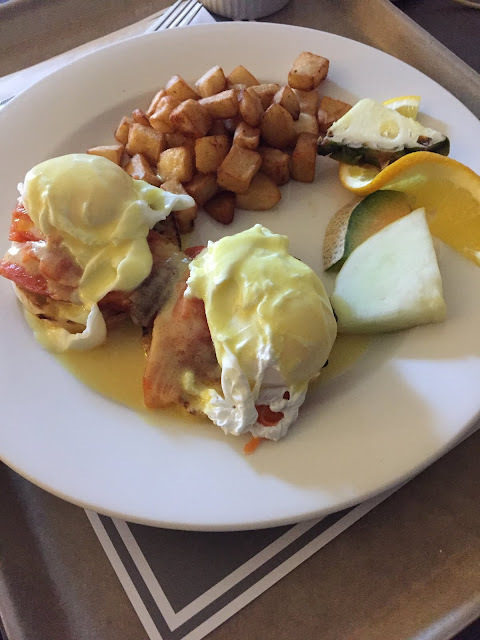 I went for the really nice gym, which was nicer than some of the gyms I've been to in Ottawa. 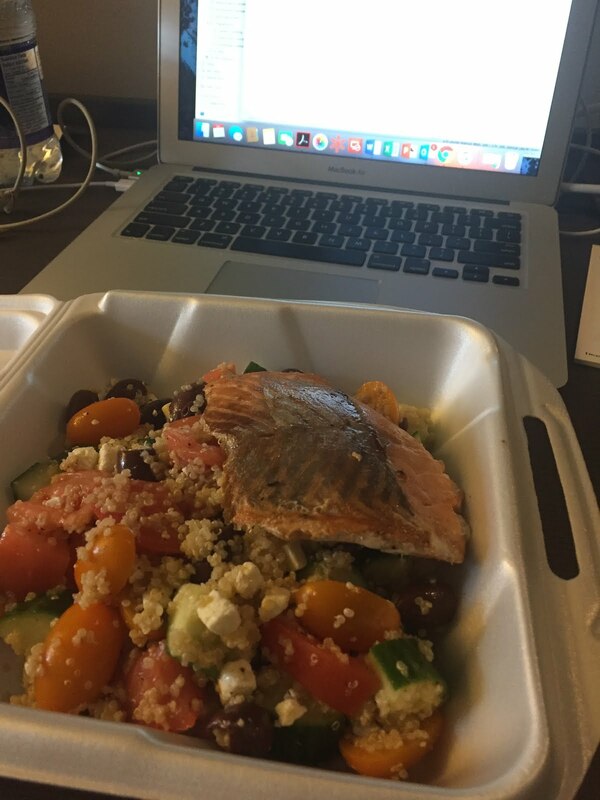 I went pretty much every day. 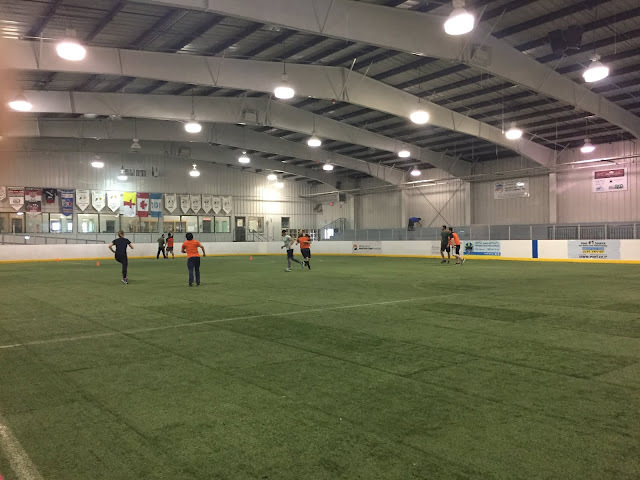 I also got to play a few games with the local ultimate frisbee scene at Iqaluit's Glorious League of Ultimate (I.G.L.U.). 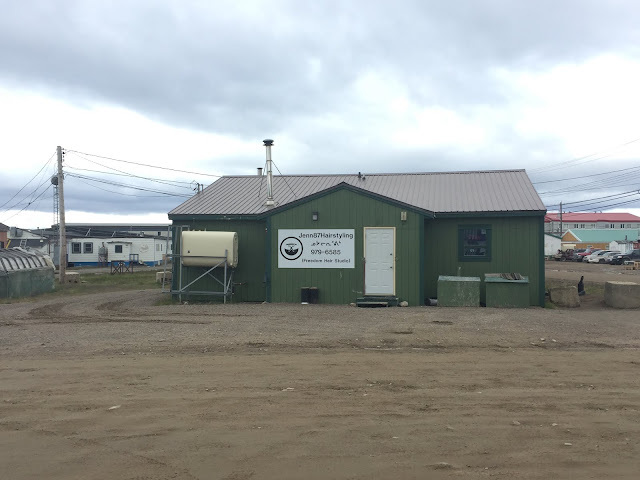 My favourite Arctic frisbee team will always be Cambridge Bay's, but the Iqaluit players are a fun group of folks and I'd love to play with them again. I also took my opportunity there to eat Arctic char with almost every meal I had. My colleague took me for a drive around town, because she's sweet like that. I got to ride around in her truck with her adorable kids. 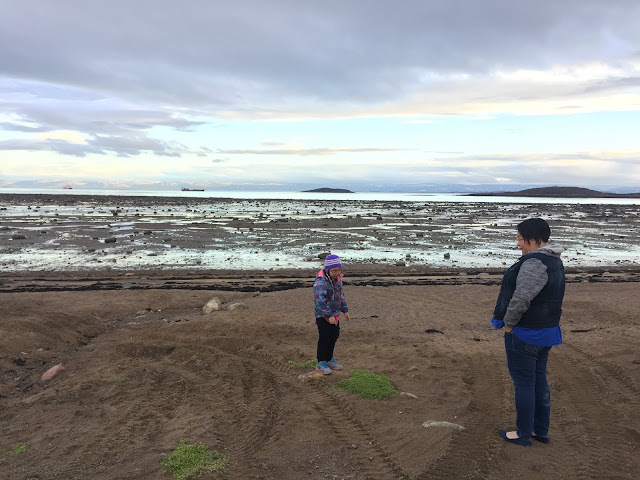 This was a treat, not just because I got to hang out with her kids, but because, as I mentioned, you can see a lot more of Iqaluit with a vehicle, including some of the breathtaking rocky and mountainous tundra landscape. 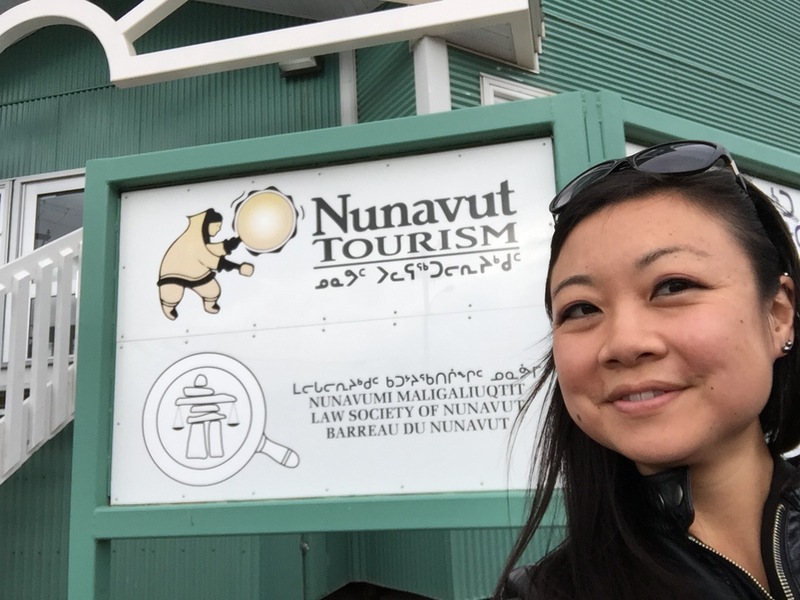 It was so nice to have a chance to get back to Iqaluit, one of the most fascinating cities in Canada, home of the most heart-warming stories like this. And to have a chance to return to Nunavut, the land that I have not stopped thinking about ever since I left. 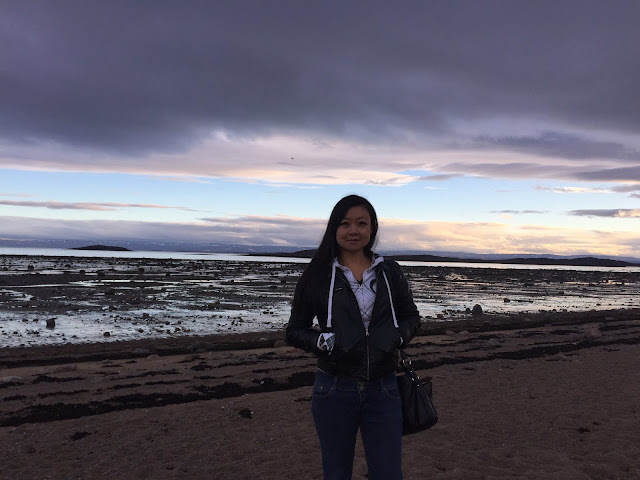 More stories of the north to come!